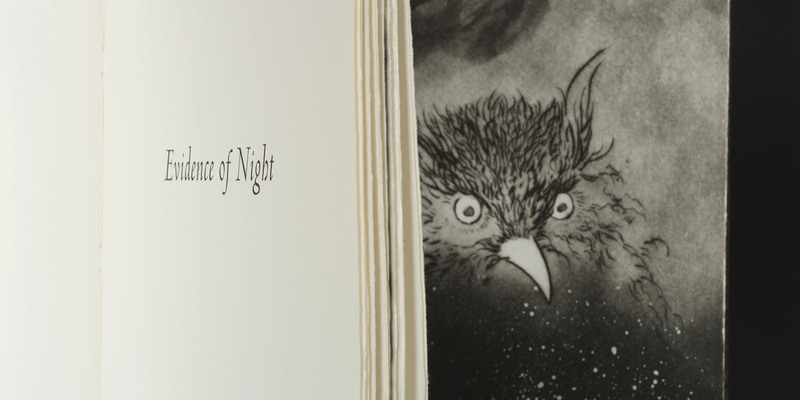 Evidence of Night features a collection of eleven poems by Jennifer Boyden, and ten prints (variously copperplate drypoints, aquatints, sugarlift, and line etchings) and three original drawings and watercolors by Frank Boyden. The pacing and organization of this volume was inspired by the sonata form, the melody instruments in this case being the language of the poet, the images of the artist, and the blank page. The poems and images engage in a series of conversations with each other, shaping a meditation on the darknesses that inform and sing through us. While the text and prints are identical in each copy, the suite of drawn/painted images by Frank Boyden render each book in the edition unique. The text is set in Centaur and printed letterpress on Hahnemühle Copperplate; end pages are Japanese taiten; and the sewn-boards binding features wooden covers of dyed pomele sapele and a leather and linen drop-away spine. 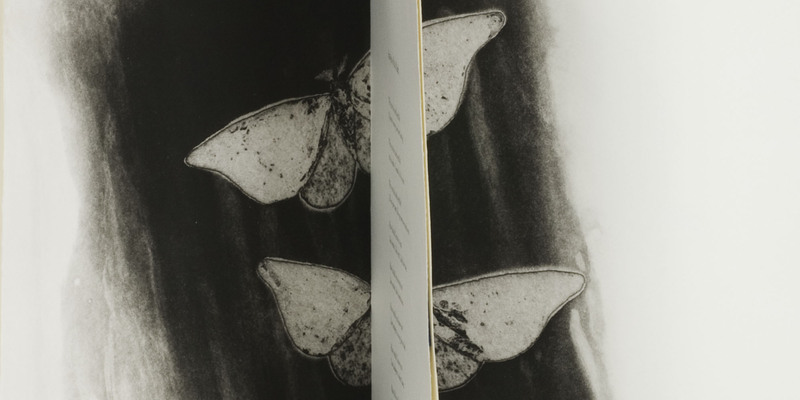 Each book is signed by the artist and poet, and presented in a silk- and cork-lined Solander box. Evidence of Night was designed, printed, and produced by Ian Boyden. Limited edition of fifteen unique copies. Dimensions: 15 x 8.5 inches. 48 pages.